After experiencing the 2010 San Francisco Fleet Week and observing the “Green Machine” that is the USS Makin Island, I had to wonder just what the heck happened to the Air Force? That military branch was, back in 2006, surfing the leading edge of the Green Wave. But today, the Air Force has entirely lost momentum, ceding the Green Lead to the Green Hornet, the Great Green Fleet and the force of nature that is SECNAV Ray Mabus. By 2016 the Air Force wants half of the fuel it pumps into its aircraft in the continental U.S. to be 50 percent synthetic. “If you’re not out there challenging the market, it’s not going to move, and if a major customer is demanding this, that the supplier market reacts to what customers want,” William Anderson, assistant secretary of the Air Force, said December 12. “We intend to use our size in the marketplace to try to drive this forward.” That would be 400 million gallons of synfuel in 2016 ” “a sizable amount of fuel,” Anderson said (in 2005, the Pentagon consumed about 125 million barrels of oil — 1.2 percent of the nation’s total). Today, Green Navy is everywhere–whilst the Green Air Force is nowhere. 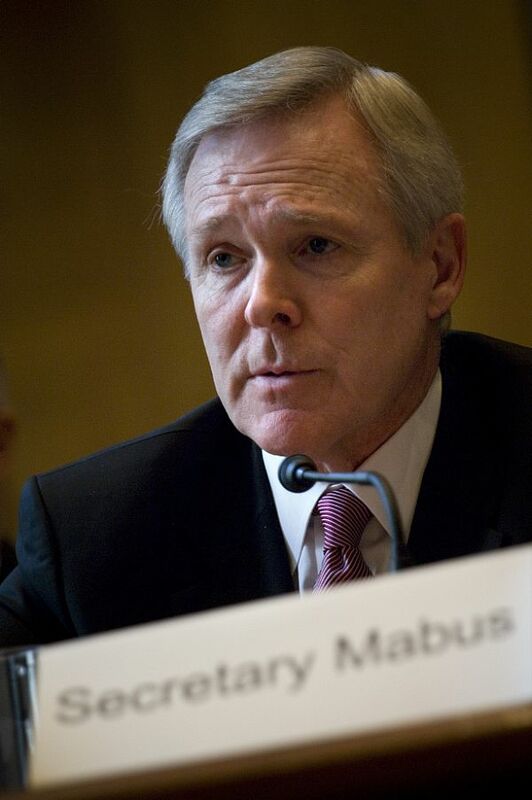 SECNAV Mabus has done the bureaucratic equivalent of a snowboarder’s Double McTwist 1260, by taking his thankless (albeit successful) oil-spill recovery assignment and transforming it from a “SECNAV distraction” into a prime motivation for fielding a Green Navy and Marine Corps. He is doing the same thing with Afghanistan, taking logistical lemons–fuel truck attacks, Pakistani border closures and poor supply-line planning–to make lemonade– further fueling the Navy’s race to become a Greener, more self-sufficient service. It must drive the incrementally-minded Air Force crazy. Years after their Green-minded leaders left in disgrace, the Air Force is getting back to Green tech–Right now, an F-15 Eagle engine is undergoing performance testing here using a unique blend of three different fuel types–a JP-8 conventional aviation fuel; a biofuel derived from tallow, which is an animal fat; and a synthetic fuel derived from coal through a process commonly known as Fisher-Tropsch. The Air Force is flying green. On August 27, 2010, a C-17 Globemaster III from flew on all engines using jet fuel blended with a combination of traditional petroleum-based fuel, or JP-8, biofuel derived in part from animal fat, and synthetic fuel derived from coal. A synthetic-blend-fueled A-10 flew in March, but this is just a merely a repeat of what was going on in 2008 when a synthetic-fueled F-15 flew, a B-1 went supersonic on synthetics, and even an F-22 got tested. Sigh. Let’s just be honest. Beef tallow fuel is not gonna get headlines. The “Green Hornet”, on the other hand, does. 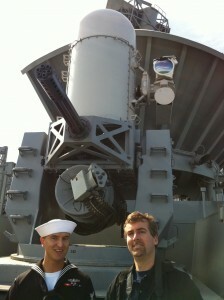 Officers aboard the hybrid-engined USS Makin Island–a multi-billion dollar “Green Billboard” (and long-ignored representative of the Navy’s future) can slip “Green” angles into almost any conversation–if the crew are not talking about the recycling center, or ship’s “hybrid” engine, they’ll gleefully start chatting about how their CIWS rotary cannon no longer fires depleted uranium AND–if that isn’t enough– that the bullets no longer have plastic jackets. It’s endless, and very media-friendly. The Navy gets it. They’ve branded their initiatives, and get wide coverage by leveraging good solid showmanship by, oh, flying the “Green Hornet” on Earth Day, or by putting off contract trials to get the USS Makin Island to the Green-Energy capital of San Francisco. The Navy is cannily embarking on longer-term “soft-sells” on the not-so-general-interest-aspects of green tech, pointing out LED lights on the fly to reporters intent on covering “bigger” or “more urgent” stories. They’ve avoided animal fat entirely, leaning on next-gen Green biofuels sourced from camelina or algae. Target 1: by 2020, half of our total energy consumption, ashore and afloat, will come from alternative sources. Target 2: by 2020, we will make half of our installations net-zero energy consumers, using solar, wind, ocean, and geothermal power generated on base. Target 3: by 2016, the Navy will sail the Great Green Fleet, a carrier strike group composed of nuclear ships, hybrid electric ships running biofuel, and aircraft flying on biofuel. Target 4: by 2015, the Department of the Navy will cut in half the amount of petroleum we use in our commercial vehicle fleet through phased adoption of hybrid, electric, and flex fuel vehicles. Target 5: effective immediately, the Navy and Marine Corps will change the way contracts are awarded. Industry will be held contractually accountable for meeting energy efficiency targets. That’s great stuff, but to do it, the Navy recognized the need to arm this mission statement with a lot of good media support. And that’s all part of SECNAV Mabus’ vision–to create enough demand and buzz for Green tech that it becomes an entrenched piece of the national psyche–which, in the end, makes America stronger. It is what great defense leaders do–they transcend the parochial even when they are moving to support their own service. Given the Navy’s efforts to “own” Green tech, to “claim” crisis response roles and to “lead” the way in supporting civil authorities, SECNAV Mabus has done a great job of positioning the Navy and Marine Corps so that they can demonstrate their relevance and broad national impact in the budget battles ahead. It is time to imagine how SECNAV Mabus will position DOD as SECDEF. Frankly, I think he can do far more than any hide-bound bureaucrat of limited strategic vision. If necessary, SECDEF Mabus would be a good choice to continue SECDEF Gates’ work at making the DOD more relevant here at home. Did RAND force the “Green Fleet” out of the State of the Union Address? With Bio Natural Gas technologies still in their early stages and energy prices ramping up from increasing demand and political turmoil, there are many twists and turns ahead for this segment of the green energy market, but its positioning could be dead-center of the energy world’s sweet spot: a fungible, storable and renewable fuel that moves and burns like natural gas. There is a proposal now to build a natural gas power plant at the Indian Head base in Maryland which would tear up the highway to put in a gas pipe to supply the power plant. The Navy actually needs steam more than power there but it has an old power plant that runs on coal or oil that it wants to replace. This is 3 MW, for the new power plant, not a lot but interesting in terms of potentially demonstrating new shipboard technology. The Navy has also had an interest going back to the eighties in producing fuel at sea from sea water. The Indian Head base, on the tidal Potomac seems like a good place to do some demonstration work. Solar PV has dropped below the cost of coal for some technologies and could be used for producing the hydrogen needed to make methane through the Sabatier reaction. Steam for the Indian Head base could be provided both from the exothermic part of that process and from burning the methane in a turbine to produce electricity as currently proposed for natural gas. This would avoid the disruptive aspects of piping natural gas to the base while providing opportunities to demonstrate logistically and strategically interesting technologies and an appropriate scale for shipboard applications. Without which the Navy’s ability to kill things would be decidedly attenuated! Honestly just look at the targets listed above and ask yourself what is the Navy’s mission? Is it to go green or kill people and destroy things? The Navy should take the lead by having every ship nuclear powered. Nothing viable is more green that that. Focus on the mission first, since it is the primary mission. Stop playing games with the military.